HAL Laboratory is keeping mum on what Kirby's feet actually look like, but do we even want to know? One of the many unanswered questions in the Nintendo universe is whether Kirby is wearing shoes or if those red blobs are his real feet. One could be easily swayed into thinking the pink puffball is wearing shoes to protect his delicate little tootsies, and his feet probably look something like his little stubby arms. 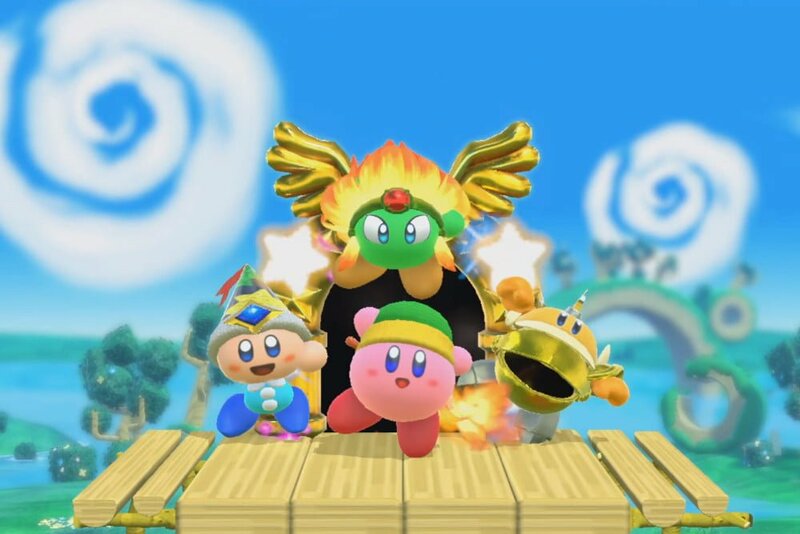 In a recent interview with Kotaku, chief creator at Kirby studio HAL Laboratory Shinya Kumazaki shared his thoughts on the situation, which may end up disappointing you. “It’s definitely a unique question,” he said via email. “I couldn’t help laughing a bit. But I’m afraid the mysterious composition of Kirby’s body is top secret.” So there you have it - we're probably never going to know. I'm okay with that, personally. The question of whether Kirby has regular feet and what they look like has plagued users for some time, especially after someone created a comic where Kirby has human-like feet with realistic toes. It's kind of weird, but what if that's what's really under there? “I would like to talk a little bit about designing the running animation where Kirby’s feet kick out into the air while running across the ground,” Kumazaki continued. “Kirby’s body is uniquely shaped compared to us humans, but the animation we designed is reminiscent of movement that’s not so different from humans walking. It was created based on the idea of a human running energetically, with the thighs, knees, and ankles invisible, but nevertheless accounted for.” That's interesting to ponder, for sure. So while the Kirby feet mystery has yet to be officially solved, we did get some interesting insights on how the little guy's anatomy was created. And we still know little or nothing, but hey – do you really even want an answer to this question? We didn't think you did. Secret is locked up tighter than fort knox.